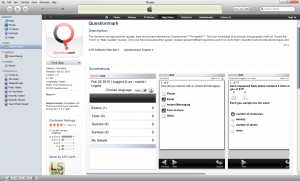 Deliver a Questionmark Perception assessment, survey or quiz to your iPhone/ iPod touch. • To see how this would look, download the free Questionmark iPhone/ iPod touch app on iTunes. 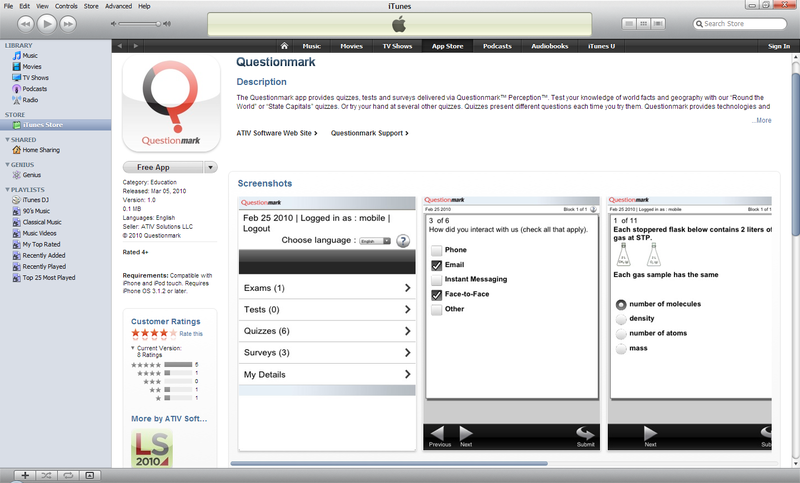 • Try out the Questionmark iPhone/iPod touch app to take some Questionmark Perception assessments on your iPhone or iPod touch. Users of QuestionmarkPerception version 5 can have their own personalized apps so that their employees and/or students can access assessments, quizzes or surveys on the go. • For more information on how to get your personalized app, contact customercare@questionmark.com.